Making the dough from semolina avoids the need to knead. There is no end to the uses for semolina, one of the most common ingredients in Russian cooking. 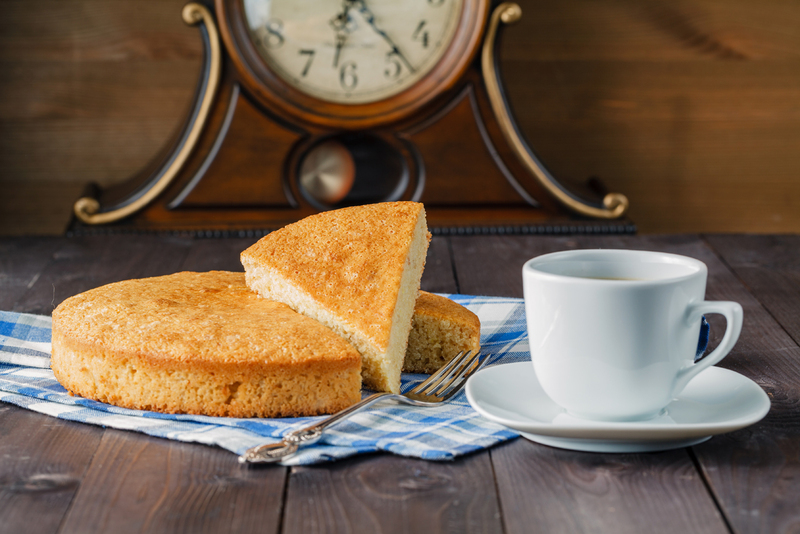 Semolina, which is widely known as “manka” in Russia, is not just only the basic ingredient for breakfast porridge — it is also frequently used as a substitute for flour in many baked goods. It’s an easy fix for home cooks who aren’t interested in spending their time kneading dough. Dough made from semolina may first appear too watery, but don’t be deceived by this first impression as semolina gradually stiffens. Cooks who prefer this kind of dough say that the addition of semolina gives pastries and pies a bolder flavor and a unique, tender crust. Using semolina doesn’t change the amount of calories, protein, fats or carbohydrates in the dish, but semolina takes longer to digest, making it a more substantial addition than other kinds of dough. Semolina can be used in cutlets and pudding and it is even satisfying as a dessert on its own. This cross between a pudding and pie is called mannik. While mannik can be made with only semolina, many Russian cooks combine it with other ingredients, particularly fruit and berries, to add flavor and cut down on its natural sweetness. There are recipes in Russian cookbooks for mannik with cherries, raspberries, cranberries, pears, bananas and even pumpkins or carrots. This mannik recipe is one of the most common in Russia and makes use of an ingredient that can easily be found at practically any time of the year — apples. Apple mannik is a cousin of the traditional Russian apple cake sharlotka, but has a unique taste and texture that makes it worth trying. 1. Mix together the sour cream, eggs and sugar. Add a pinch of salt. Combine the baking soda and the vinegar in a spoon,then add to the mixture. 2. Next, add the semolina. Other ingredients can be added at this point to change the flavor, such a cinnamon, vanilla or lemon juice. 3. Mix well using a wire whisk or blender. 4. Core and slice the apples. Grease the baking pan with butter, then lay the apple slices in the bottom. 5. Cut the remaining 50 g butter into thin slices, then lay them on the apple pieces. 6. Pour the dough into the pan, covering the layers of apples and butter. 7. Bake the mannik at 130° C (i.e. 266° F) for 45 minutes.